The ability to virtualise an existing Mac/macOS installation is important and very useful as it is an easy way to continue running your old Mac and also a possible way to run 32-bit applications that do not run on macOS 10.15 or later. 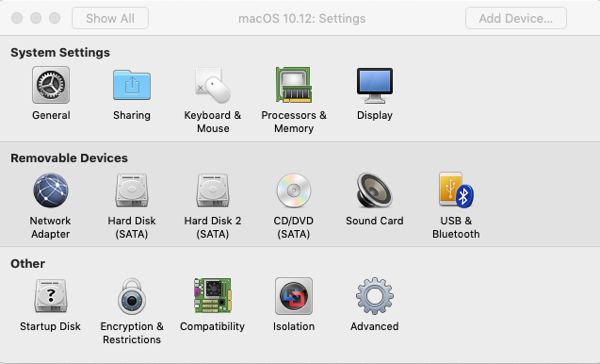 MacStrategy presents this special guide to virtualising a physical Mac/hard disk/clone/disk image file. NOTE: This document was written using a Mac mini (2014 model) with macOS 10.14 Mojave running in 64-bit only test mode and using Parallels Desktop 14.1.2, VMWare Fusion 11.0.2 and VirtualBox 6.0.4. 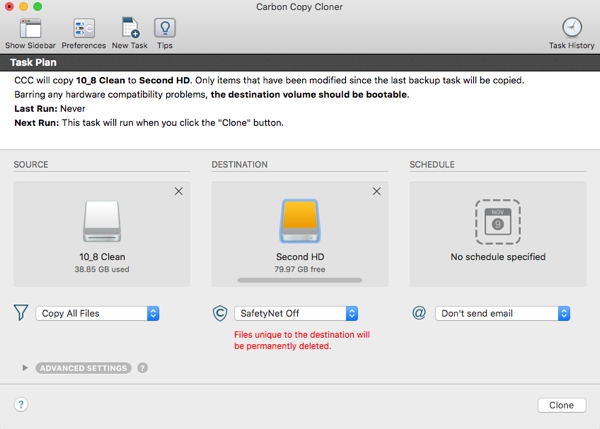 NOTE: If you have the original Mac you will need to clone its startup disk either to an external storage device (preferably USB) or to a disk image first using, for example, Carbon Copy Cloner. If you are using an external storage device for your bootable clone or to hold the disk image file it's best to rename it to something that is easy to recognise e.g. 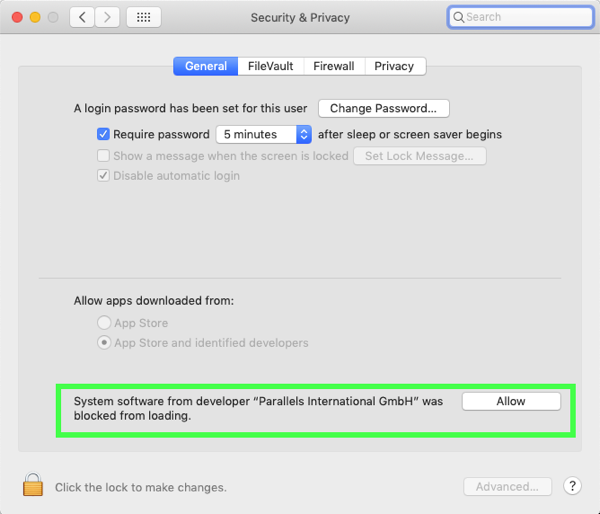 "VM Transfer"
We have not tested this in Parallels Desktop but you should be able to do something similar to what we did in VMWare Fusion - we will update this article when we have more time to test this. Don't forget to donate to us (use the button in the bottom left corner of this web page). NOTE: This additional virtual machine drive must be larger than the space used by the physical Mac/hard disk/clone/disk image file of your old system. If OS X / macOS asks you whether you want to use the additional virtual machine drive for Time Machine Backups click "Don't Use"
In the virtual machine go to Apple menu > System Preferences > Startup Disk > set it to "Second HD"
Go to Virtual Machine menu > Settings > Hard Disk (SATA) > make sure 'File name:' is "Virtual Disk.vmdk" > click "Advanced options" at the bottom > click "Remove Hard Disk"
Change the virtual machine's 'Name' to something that is relevant to your original Mac system e.g. 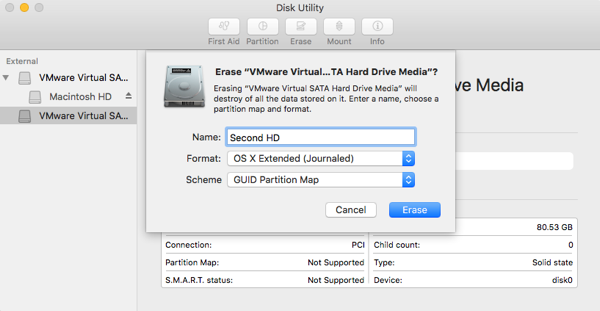 "Old OS X 10.8 Mac Pro"
To avoid confusion with your host Mac, rename the virtual machine's hard disk from "Second HD" to something that is different to your current hard disk e.g. 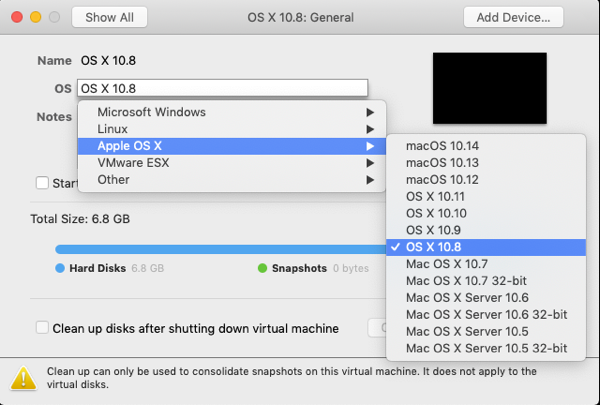 "Virtual OS X 10.8 HD"
We have not tested this in VirtualBox but you should be able to do something similar to what we did in VMWare Fusion - we will update this article when we have more time to test this. Don't forget to donate to us (use the button in the bottom left corner of this web page).